Granite State: for our extensive granite formations and quarries. 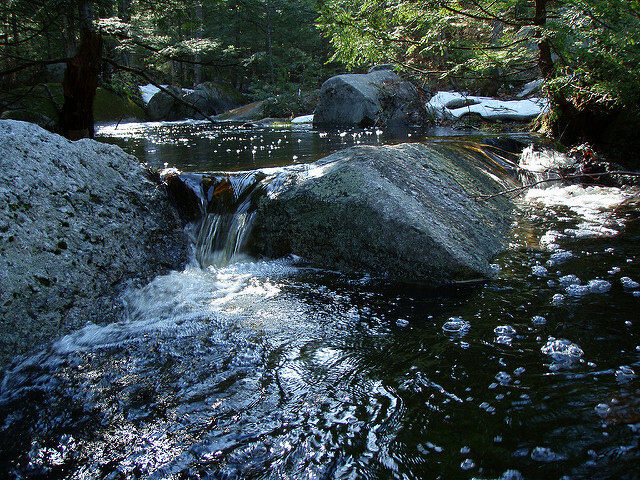 Mother of Rivers: for the rivers of New England that originate in our Mountains. White Mountain State: for the White Mountain Range. Switzerland of America: for our beautiful mountain scenery. Concord is the seat of New Hampshire government. It is centrally located in the state on the Merrimack River. Check for our quick links at the bottom of the page for more NH Gov information. New Hampshire has adopted many symbols over the past 200 years, beginning with the first state seal in 1775 and continuing to the most recent symbol, the State Tartan in 1995. The flag, seal and various symbols are all ways the state identifies itself. They had been adopted by the legislature as symbolic of the state. The state of New Hampshire has held two seals since it declared its independence from Great Britain on January 5, 1776. While both seals have been retained, most people are only familiar with the Great Seal used mostly. “Live Free or Die” The motto comes from a statement written by the Revolutionary General John Stark, hero of the Battle of Bennington. Trails Begin at the Squam Lakes Natural Science Center, Route 113, Holderness. Trails offer various levels of difficulty. Spectacular views of Little Squam Lake. Holderness, Trailhead off Rt. 113- 5 miles from downtown Holderness 0.5 miles northeast of Pinehurst Rd., parking on left. After descending 1.9 miles the trail meets cliffs with ledge ladders and boulder caves. 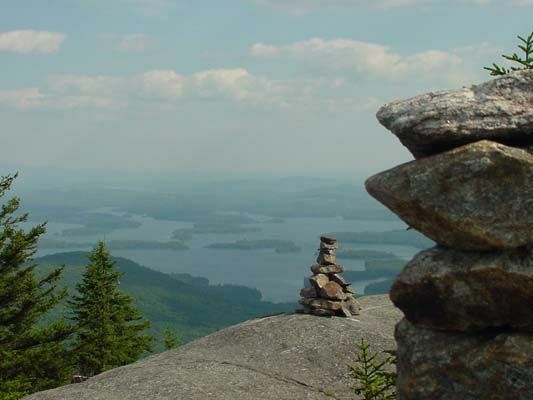 At the summit you will meet Wonderful views of Squam Lake, Lake Winnipesauikee, and Mountains. Continue on to the ridge to Crawford-Ridgepole rail to Mt. Percival. Squam Lakes Association 603-968-7336. Rt. 113 Holderness –– Trailheads off Rt. 113- approx. 5 miles from downtown Holderness on right, (after Rockywold Deephaven Camps sign) park on left. Short and Easy Climb, spectacular views. Use caution with children. Steep cliffs at summit. Moultonborough (elevation 2,029 feet) Fire tower run by town of Moultonborough Fire Department. Bean Road in Center Harbor 1.4 miles to Shibley Road (fire tower sign) to parking lot with gated fire access road. Distance to tower 1.7 miles. Contact the Lakes Region Conservation Trust for a map 603-279-3246. Mount Fayal Holderness Begin at the Squam Lakes Natural Science Center, Route 113, Holderness. Trails offer various levels of difficulty. 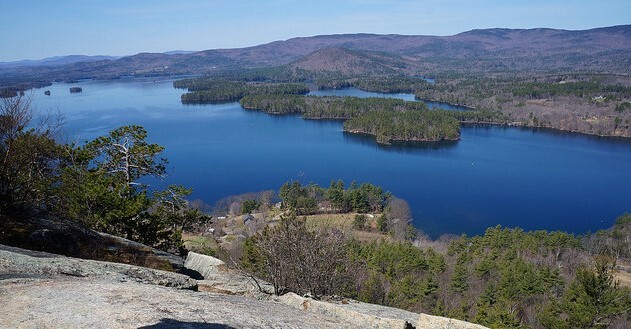 Spectacular views of Little Squam Lake. The trailhead for both Mt Morgan and Percival start in Holderness. Holderness, Trailhead off Rt. 113- 5 miles from downtown Holderness 0.5 miles northeast of Pinehurst Rd., parking on left. After descending 1.9 miles the trail meets cliffs with ledge ladders and boulder caves. 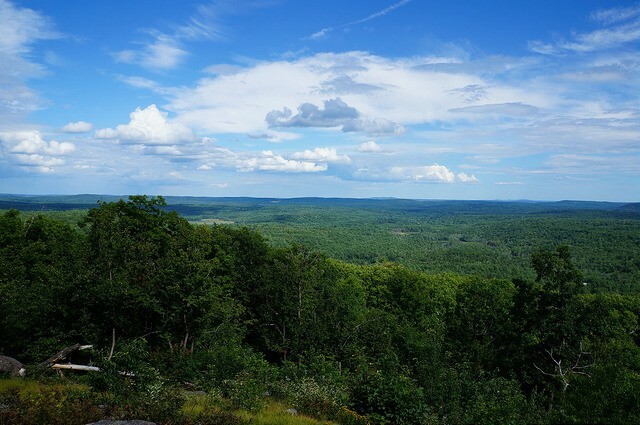 At the summit you will meet Wonderful views of Squam Lake, Lake Winnipesauikee, and Mountains. Continue on to the ridge to Crawford-The 2.1-mile Mt. Morgan Trail, often hiked as a loop with Mt. Percival, is a challenging family hike. Ridgepole rail to Mt. Percival. Squam Lakes Association 603-968-7336. (elevation 2,029 feet) Fire tower run by town of Moultonborough Fire Department. Bean Road in Center Harbor 1.4 miles to Shibley Road (fire tower sign) to parking lot with gated fire access road. Distance to tower 1.7 miles. Contact the Lakes Region Conservation Trust for a map 603-279-3246.